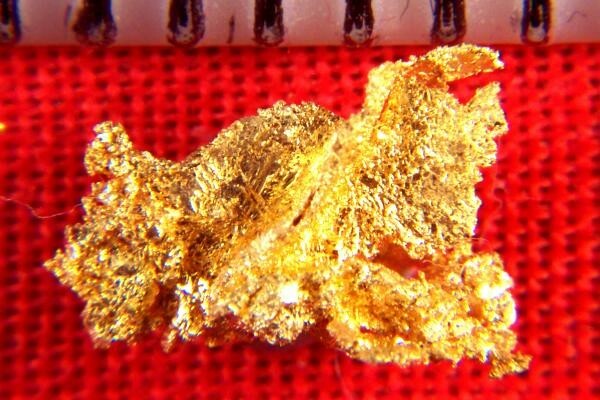 This is a super nice natural crystalline gold nugget from Round Mountain. It has beautiful color and shape. The size is 5/16" (8 mm) long and the weight is 3.5 Grains (0.22 Gram). 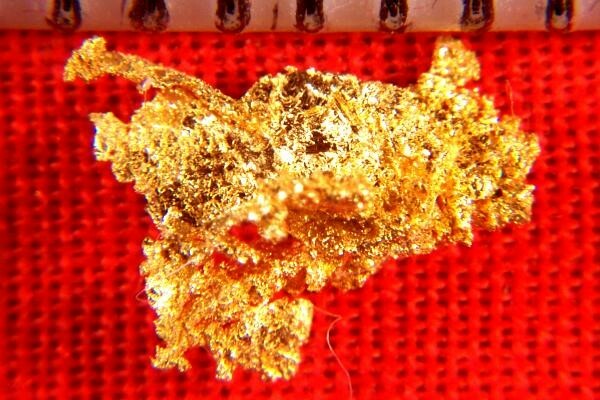 A really nice gold specimen.